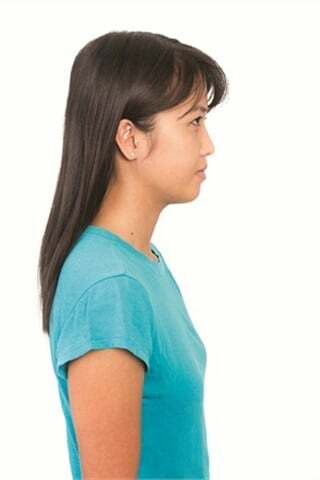 Place your hands flat against a wall just below chest level. Take a step back and put your feet hip-distance apart. Keeping your abdominals pulled in, slowly bend your elbows toward the wall, then return to the starting position. As you become stronger, you can step farther away from the wall to make the exercise more challenging. Place your chair against a wall. Stand in front of the chair with your feet hip-distance apart. Keeping your back straight and your chin up, lower yourself toward the chair (concentrate on your bottom/glutes moving back toward the wall rather than the knees coming forward). Stop just before sitting down, and raise back to standing. Stand with your feet hip-distance apart, and place both hands behind your head. While looking forward, raise one knee toward the opposite shoulder while lowering that elbow toward the knee. Repeat on the opposite side. 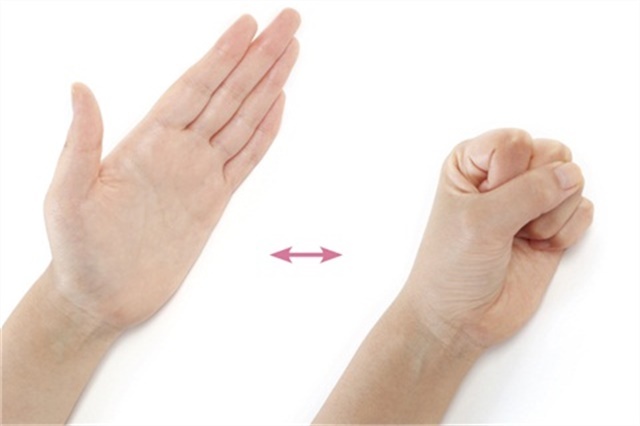 Hold the right hand straight, with fingers and thumb pointing upward. 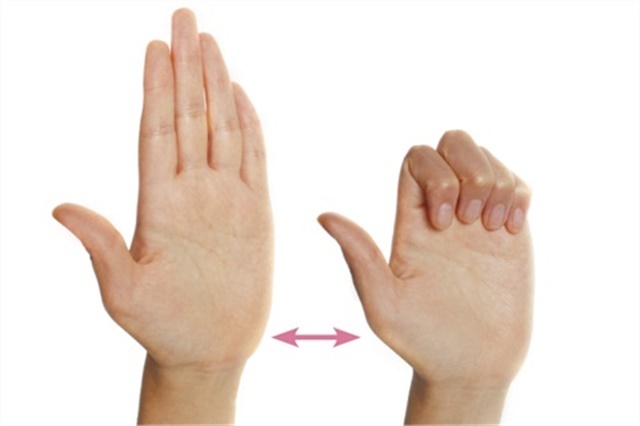 Bend fingers and thumb at the knuckle so fingertips are touching the pads at the bottom of the fingers. Open and bend digits several times, then repeat with the left hand. Rest your arm with the side of your hand, wrist and arm lying on a desk or table. Gently bring your fingers and thumb into the palm, rolling them into a gentle fist. Unroll and roll several times and then repeat with alternating hand. Sit up straight on a chair with no arms. Cross the right leg over the left and drape the left arm over the right leg so the elbow is on the outside of the right knee. Without rounding your shoulders, twist to the side to stretch your spine and lower back muscles. Hold for a count of 10. Repeat with the left leg. Repeat three to five times. This can be done seated or standing. Bring the right arm straight out in front of you and, without angling it up or down, bring it across your body. It will be slightly above chest level. With the left arm bent at the elbow and anchored against the body for support, hold the right arm in place for a count of 30. Repeat three times. Switch sides, bringing your left arm out straight and then across the body. Use the right arm to hold it in place for 30 seconds. Repeat three times.